Ballantine's Scotch Whisky Distillery in Dumbarton is a distillery that produces a full range of the excellent Ballantine Whiskies. 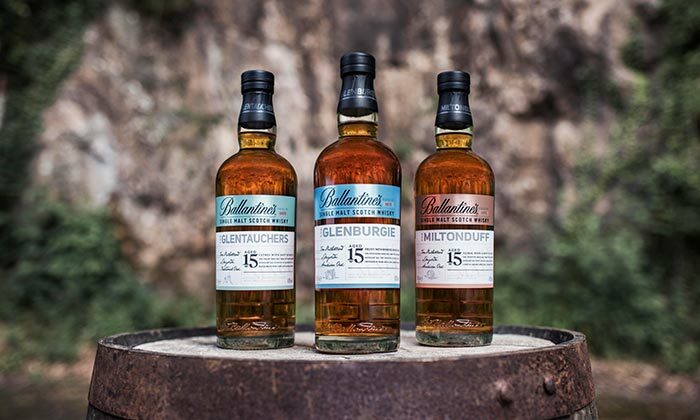 The blends that are produced are Ballantine's 12 Years Old, Ballantine's 12 Years Old, Ballantine's 17 Years Old, Ballantine's 21 Years Old and Ballantine's Finest to name just a few. The distillery is owned by the Chivas Brothers. The distillery is guarded by a very unique secuity system by have over a 100 noisy geese which look after all the warehouses that are on the site protecting the barrels of whisky. The geese can be since from the road towards Dumbarton and also on the nearby train line between Bowling and Dumbartand East. Ballantie's also sponser the new promoted football time of Dumbarton FC. There are now in fourth season with the club (May 2009) and you can read more about this in the latest news section on the site under - Chivas Brothers renews sponsorship of newly promoted Dumbarton Football Club. Much more details can also be found on their website relating to their whisky brands and all the very latest news regarding latest releases of the ballantines brands - www.ballantines.com. 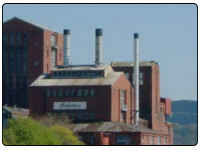 The distillery have now be closed and demolished now since 2008 and the site next to the clyde is now waste ground. Who knows what the future will bring for this area and I will keep you updated about this over the coming months. The distillery warehouse are still situated in Dumbarton though and you can see them when driving on the main A82 road just before Dumbarton.